Cloud Jobs API is designed to power user's job site with machine learning. Work for Google Cloud Job Discovery? Learning about Cloud Job Discovery? "This might be a game changer "
I have not used this a lot as I am fairly new to it but this could really be a game changer for finding jobs. I am a curious soul so I am always looking for what is out there. It feels like the job market has changed so much with technology. I mean nowadays you can submit as many resumes as you would like and it just goes to a blackhole of sorts. It is incredible frustrating and almost feels hopeless to be honest. I am hoping that this new Google platform will help that blackhole feel less bottomless and black and increase more engagement from job seekers to employers looking for employees. It has cool features like commute time and stuff. I feel like this is still being developed and it is a relatively new platform for me as I have recently discovered it. Exciting things are coming but still unsure as to what i like about it and what i dont. To be honest there is such a massively negate connotation to online job applications because they just seem useless sometimes so I hope this will help make job applications less depressing but still to early to tell. GOOGLE is the future. I am really eager to see if this changes job applications. This has helped me with Job discoverability. "Find Your Dream Position In The Cloud!" It has increased the number of high-quality applicants we received and has allowed our positions to be added to compared searches. I love how the machine learning takes key word searches to a whole another level. Overall a innovative career search tool. There still needs to be more information out there so more companies can start using this search system. They can continue to add more options to searches which will only make it better. I highly recommend trying it out especially if you have specific titled positions you are looking to be filled. Increasing number of qualified job applicants and finding interested persons for specific job titled positions. "Great tool for job postings!" "This is great if you are in talent acquisition "
I like that you can use Google's search and machine learning capabilities, enabling the entire recruiting ecosystem to aid in one's search - and it can be across multiple industries. I don't like that there isn't enough literature about the system online. I think it's important to be able to use many resources in the job search and from a talent professional's standpoint. 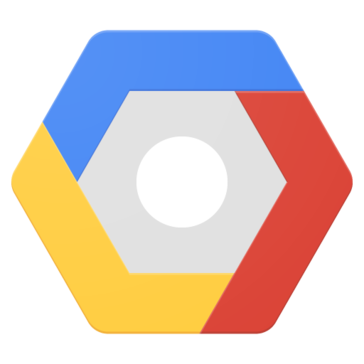 Learning about Google Cloud Job Discovery? * We monitor all Google Cloud Job Discovery reviews to prevent fraudulent reviews and keep review quality high. We do not post reviews by company employees or direct competitors. Validated reviews require the user to submit a screenshot of the product containing their user ID, in order to verify a user is an actual user of the product. Hi there! Are you looking to implement a solution like Cloud Job Discovery?